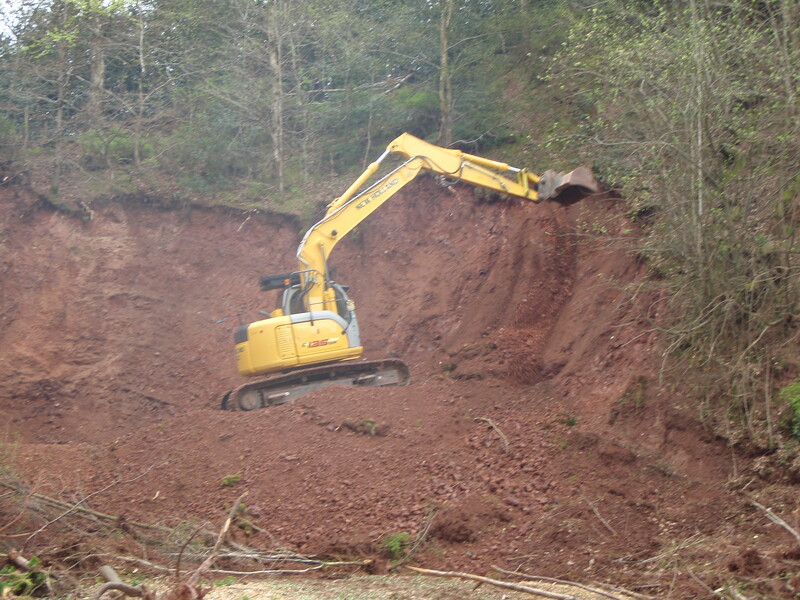 Extensive quarrying occurred on the Lickey Hills and northwards through to Rubery during the 19th and early 20th century. 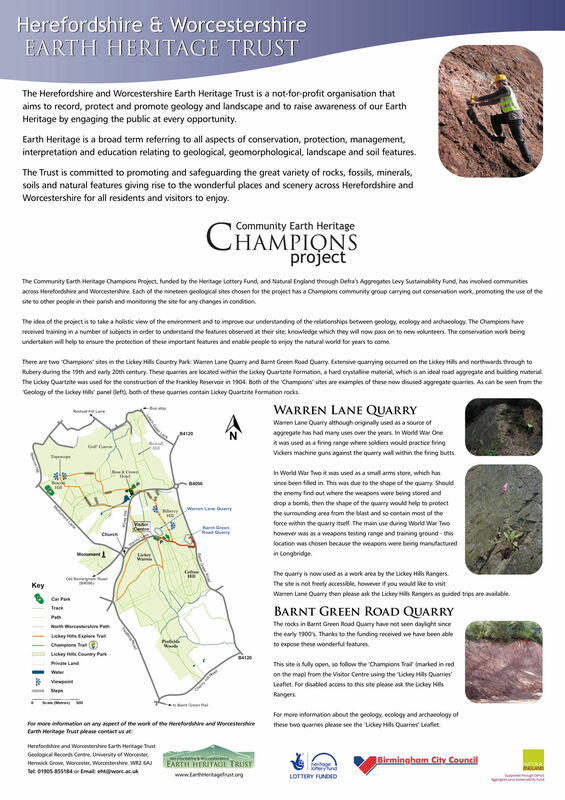 The two sites selected for the Champions project are Warren Lane Quarry, near to the Lickey Hills visitor centre, and Barnt Green Road Quarry, on the eastern flank of Bilberry Hill. Both quarries are cut into rocks dating from the Ordovician period of geological time, around 488 million years ago. The rocks in these quarries are known to geologists as the Lickey Quartzite Formation. They are hard and crystalline, and have been used for road aggregate as well as the building of nearby Frankley Reservoir. Warren Lane Quarry is a large quarry approximately 75m in length. 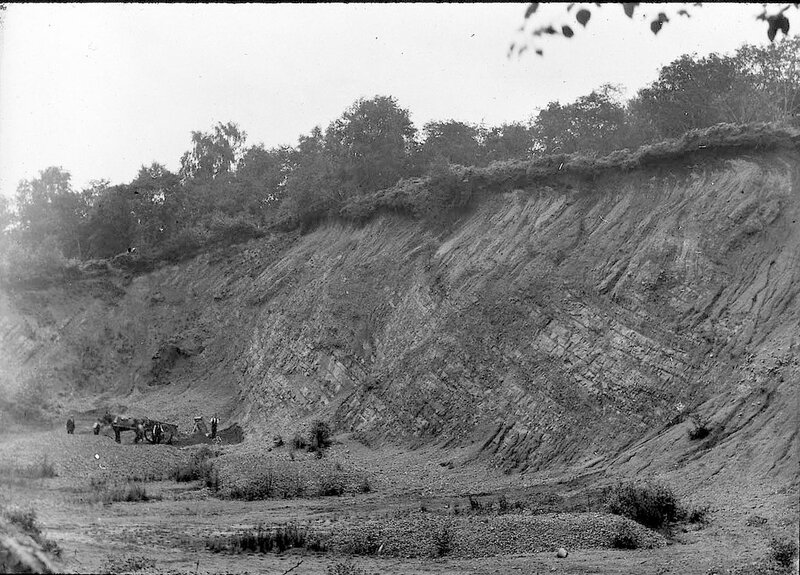 The rock is exposed on the northern face of the quarry, and reaches approximately 10m in height. At the eastern end of the quarry there are large vehicle bays built into the quarry face, as well as some work sheds in the centre of the site; some of these structures date to World War I. Log piles are scattered around the site, with many located at the base of the rock face. As Warren Lane Quarry is a working area, it can only be visited by arrangement. Please contact the group using the e-mail address below for further information. 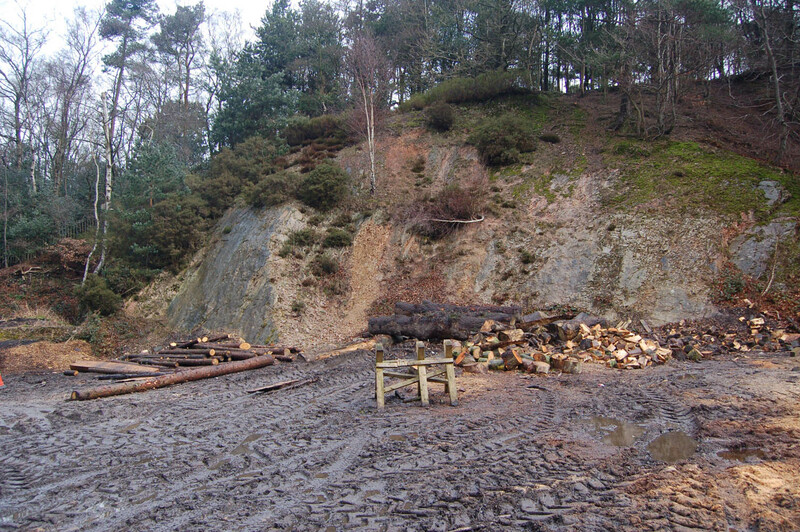 Barnt Green Road Quarry is located next to the Barnt Green Road on the eastern edge of the Lickey Hills Country Park. It is a deceptively large quarry, with rock faces approximately 20m high and 80m long. Tracing out the overfold makes the structure clearer. The yellow lines that zig-zag vertically down the face were once laid down horizontally! 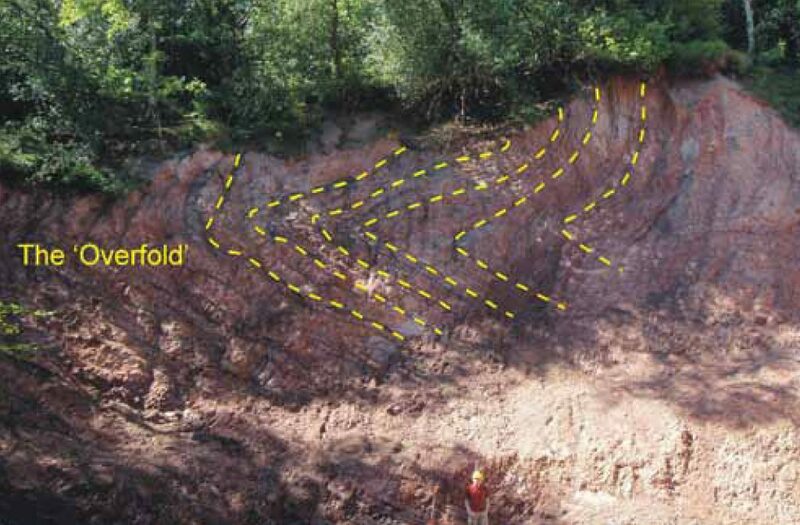 Within the quarry, there are some fascinating structural features to be seen, including faults and an impressive overfold. 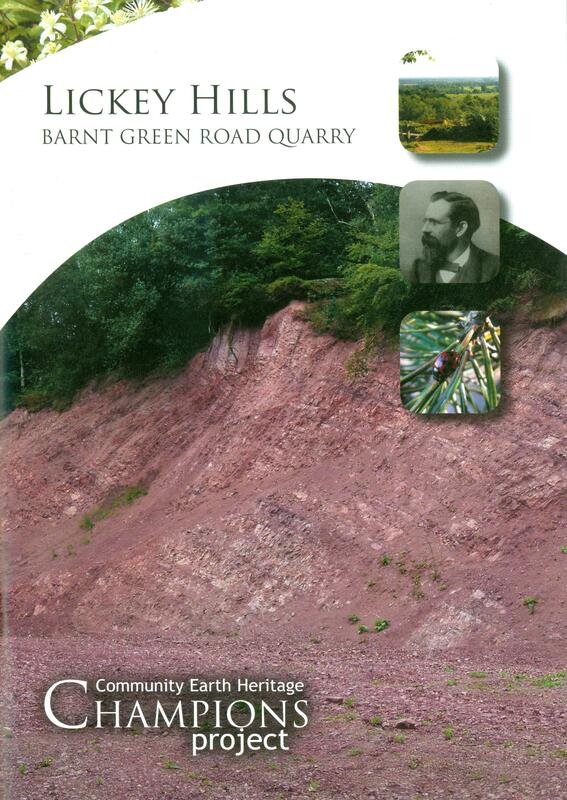 The eminent 19th Century geologist Charles Lapworth studied the quarry and it’s features. 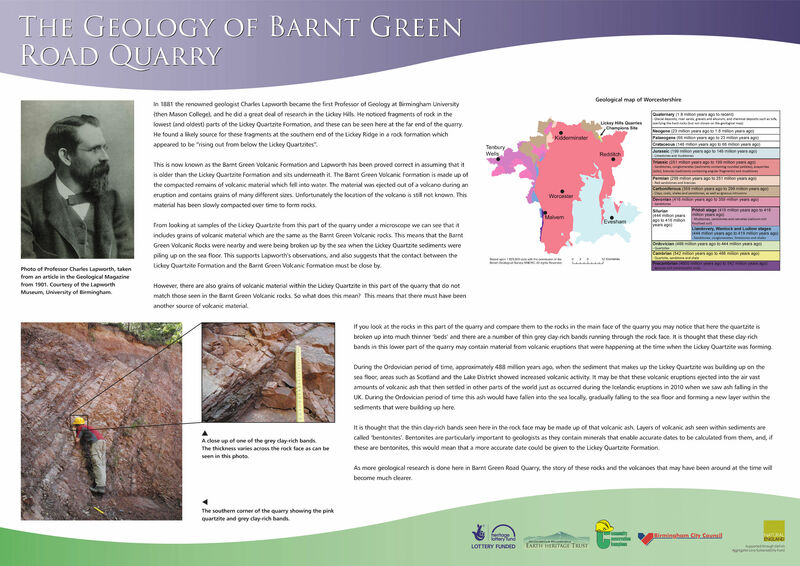 The Barnt Green Road quarry is best accessed from the Lickey Hills Visitor Centre (SO 998 753 or Google Map). 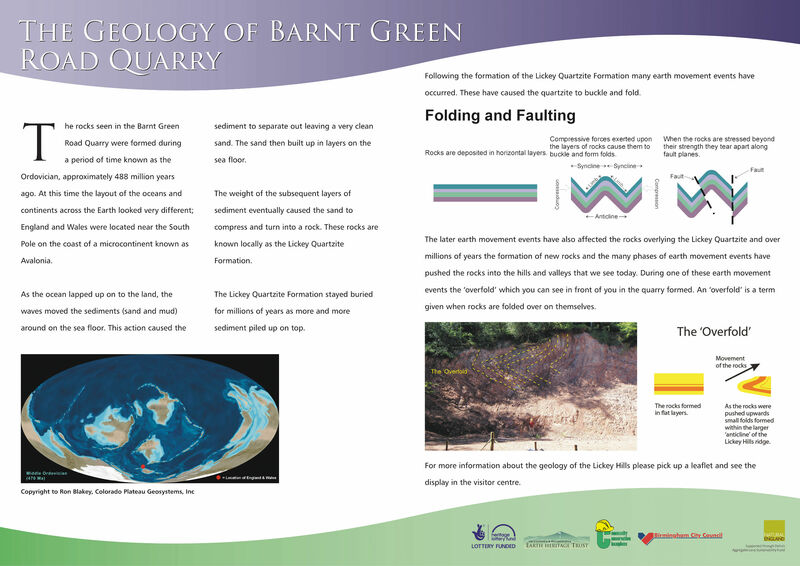 Here you can learn more about the geology of the area from the display boards. There is also a car park, a small cafe and toilets. You will find a useful Location Map here which shows the positions of the sites – it is taken from our geotrail booklet. 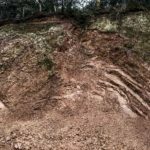 You can explore the geology of the Lickey Hills and Rednal by following the trail in the booklet, Lickey Hills – Barnt Green Road Quarry Trail. 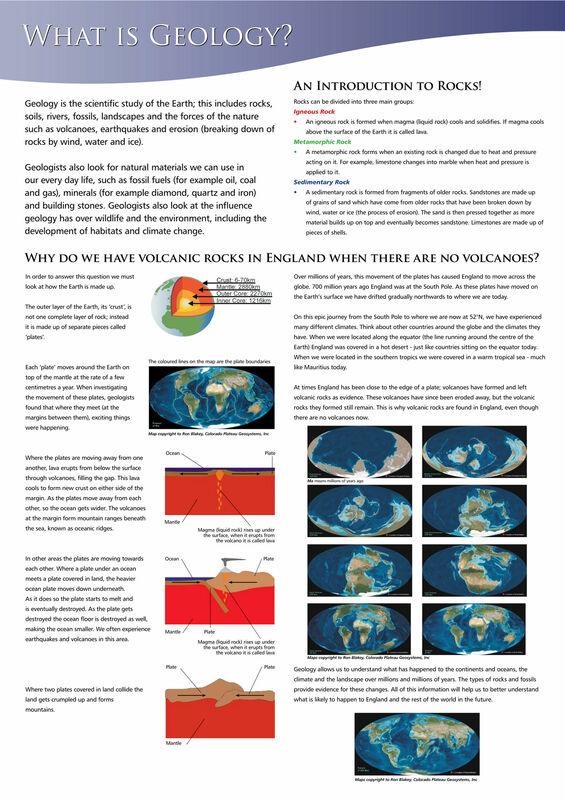 This booklet contains an explanation of the geology of the area, and directions for a short geotrail which can easily be completed within a couple of hours. 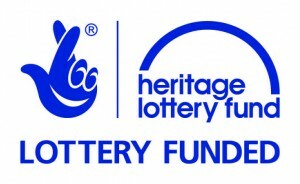 Copies of the booklet cost £3 each, and can be obtained from the Lickey Hills Visitor Centre, or from the Earth Heritage Trust. In May 2018 a new panel was added along the trail on Bilberry Hill ridge (near the car park). It can be seen here: Rocks and Landforms Panel. We are happy to provide talks for local school groups, history societies, geological field trips or any other interested parties. 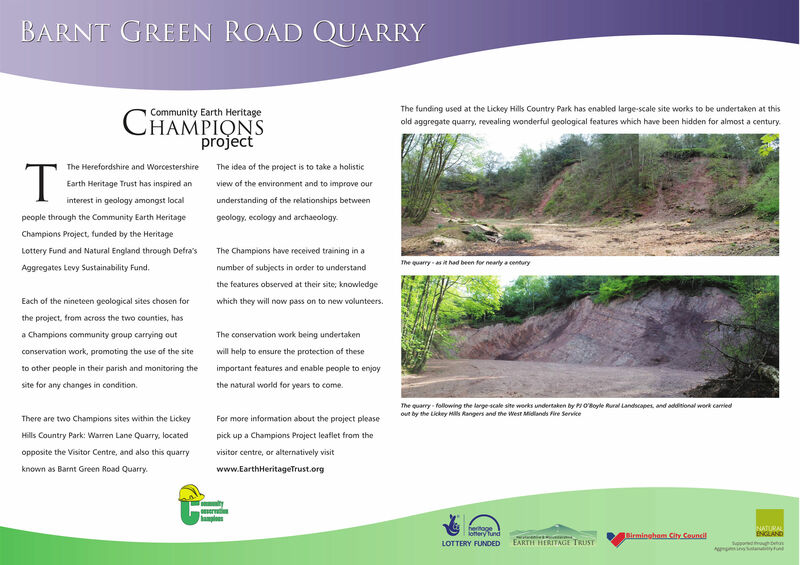 The visits cover the fascinating history of the quarry, from the formation of the rocks and their subsequent distortion into the shapes we see today, through quarrying in the 19th Century, use of the quarries during WW2, and finally the work carried out as part of the Champions project. A wide range of childrens’ activities are also available to school groups and families. We hope that you’ve found this page useful. If you’d like to know more, to arrange a visit, or to get involved with the group, e-mail us on lickeychampions@gmail.com and we’ll get back to you as soon as we can. The Lickey Hills Visitor Centre is managed by Birmingham City Council – you will find directions and opening times on their website. Be sure to read the information boards displayed in the visitor centre before you set out. We maintain an image library on Flickr – this contains images of the site, the geotrail and some of our events. If you would like to use any of the images for any purpose, please let us know. The Lapworth Museum at The University of Birmingham is an excellent museum – they also hold a remarkably complete record of Charles Lapworth’s work and teaching in their archives. 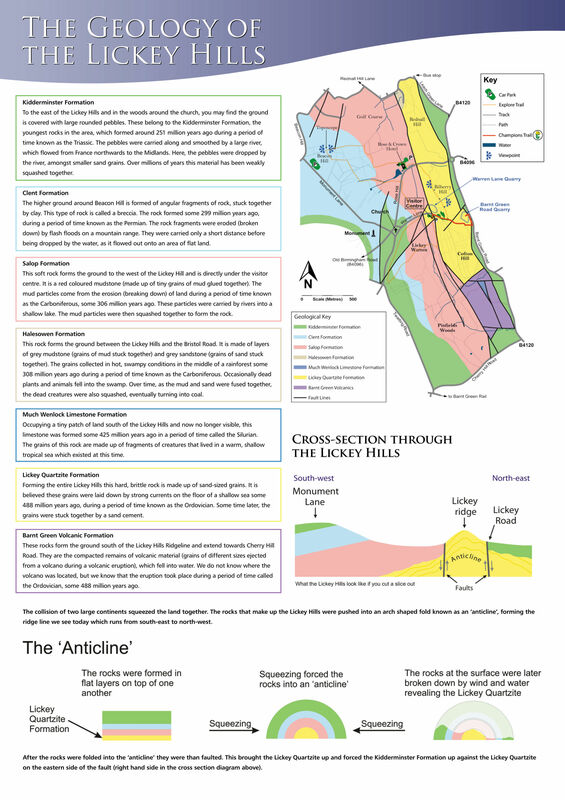 An earlier publication, Explore Lickey Hills Landscape and Geology Trail, 2006, Herefordshire and Worcestershire Earth Heritage Trust. Available from the Trust by mail order, priced at £2.00 plus postage. 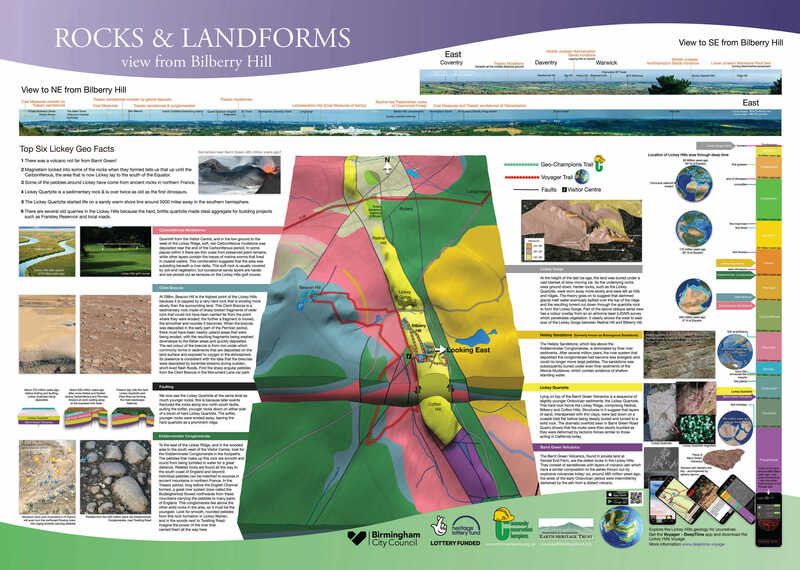 BGS GeoScenic holds a few historic images of quarrying on the Lickeys – try a search for “Lickey Hills”. This is also the place to get hold of more information about the local geology, such as borehole data, geological maps and books. Third Rose Hill Day of the Year!